Located on Mallorca’s east coast, Villa Sa Coma is a 5-minute walk from the beach. It features an outdoor swimming pool, terrace with barbecue and free Wi-Fi. Villa Sa Coma can accommodate 10 guests in 3 twin and 2 double rooms. It has a well-equipped kitchen including microwave, dishwasher and washing machine. The spacious pool area includes a terrace with deck chairs and outdoor dining area. Bedrooms are bright and spacious with wardrobes and heating. There are two bathrooms complete with bath tub and shower. The living room features a fireplace, sofas and flat-screen TV. 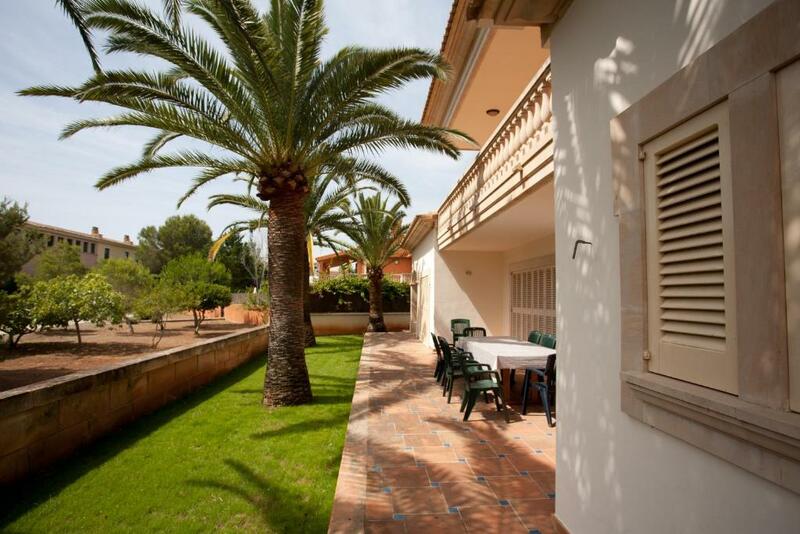 Villa Sa Coma is well located at only 650 feet from the nearest supermarket, 2,300 feet from many pubs and restaurants and 6.2 mi from the golf courses of Pula and Costa de los Pinos . Palma de Mallorca Airport is an hour’s drive away. This is our guests' favorite part of Sa Coma, according to independent reviews. When would you like to stay at Villa Sa Coma? Villa Sa Coma can accommodate 10 guests in 3 twin and 2 double rooms. Bedrooms are bright and spacious and are equipped with wardrobes and heating. There are two bathrooms complete with bath tub and shower. The well-equipped kitchen includes a microwave, cooker, coffee machine, toaster and dishwasher. The lounge features a flat-screen TV, sofas and fireplace. The large pool area includes a terrace with deck chairs and parasols. The outdoor dining area features a barbecue and is furnished with tables and chairs. Towels and linen are included free of charge. House Rules Villa Sa Coma takes special requests – add in the next step! Villa Sa Coma accepts these cards and reserves the right to temporarily hold an amount prior to arrival. Please let Villa Sa Coma know your expected arrival time in advance. You can use the Special Requests box when booking or contact the property. We need at least 5 reviews before we can calculate a review score. If you book and review your stay, you can help Villa Sa Coma meet this goal.